Dr. Levine uses a gentle laser to comfortably treat your baby’s tongue-tie. A frenum is a small fold of soft tissue that connects each lip to the jaw and the tongue to the floor of the mouth. When a baby has a tongue or lip frenum that is too short or too strong, the motion of the tongue or lip is restricted. This condition is known as a tongue-tie or a lip-tie. It can severely inhibit your baby’s ability to breastfeed. After a tongue-tie frenectomy, a baby is able to nurse easily and comfortably. A frenectomy is a simple and fast surgical procedure to remove or reduce the size of the overly restrictive frenum. This restores free movement of the tongue or lip and allows your baby to nurse comfortably and properly. Dr. Levine is very experienced at releasing tongue-ties and lip-ties—he has helped thousands of babies become able to nurse properly. Dr. Levine uses an advanced dental laser for the procedure so it is quick and comfortable, and healing is very fast. He can safely and effectively perform this treatment for infants as young as one day old. 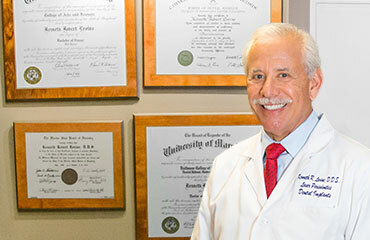 Dr. Levine is a periodontist, specially trained in treating gums and other soft tissues in the mouth. Dr. Levine is a periodontist—a recognized dental specialist in the treatment of the gums and other soft tissues in the mouth. This makes him exceptionally qualified to perform frenectomies. 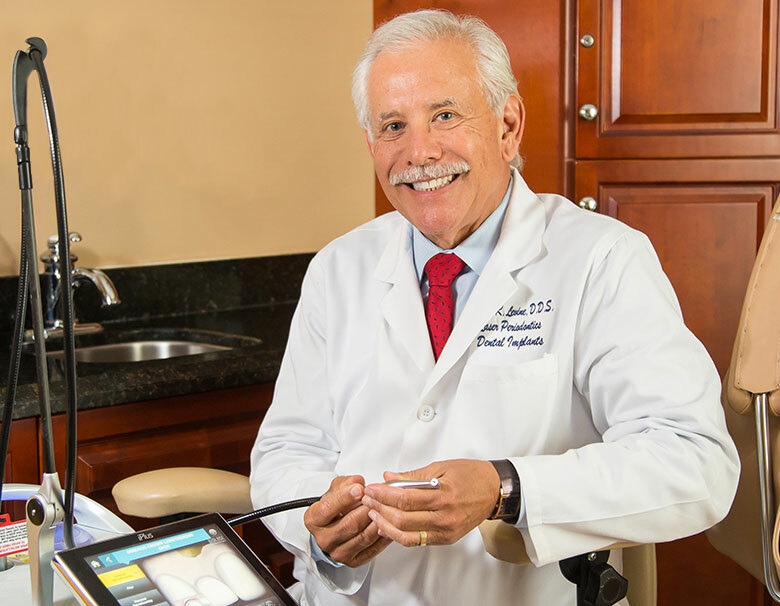 He has been in practice for over 40 years, and has dedicated himself to using the latest technologies, including dental lasers, in order to provide comfortable and minimally invasive treatment. Using an advanced dental laser, he has released the tongue-ties and lip-ties of many thousands of babies. Many lactation consultants, pediatricians, pediatric dentists and speech therapists refer their tongue-tied and lip-tied infants to Dr. Levine, due to his quality of care and gentle approach. If you are trying to breastfeed and are finding it difficult for your baby or yourself, come see Dr. Levine. He will conduct a complimentary evaluation of your baby. He will tell you if your infant is tongue-tied or lip-tied and if this is causing the inability to nurse successfully. If this is found to be the case, Dr. Levine will explain how he can correct this with a simple and gentle laser treatment and will answer all of your questions. Babies as young as one day old are eligible for the evaluation and treatment. Using a dental laser, Dr. Levine can gently release the tongue-tie or lip-tie. Dr. Levine uses a high-tech dental laser to gently release the tie. The laser is a minimally invasive alternative to a scalpel. Its beam is very precise and does not affect any of the surrounding tissues. This particular laser has a water spray that cools the tissues as it works, making the procedure comfortable for your baby. The entire procedure takes just a few minutes. Due to the laser’s precision, healing is fast and there is little to no discomfort for the baby during or after the procedure. Moms normally see an immediate change in their baby’s ability to nurse, sometimes in as little as ten minutes after the treatment is finished. In addition to making it possible for your baby to nurse properly, releasing a tongue-tie or lip-tie can help prevent many other difficulties as your child grows. Your baby will be able to eat and swallow solid food easily, as the tongue will not be restricted. Tongue- or lip-ties can make it hard to pronounce letters and words properly and can lead to speech impediments. Correcting the tongue- or lip-tie early can prevent these difficulties from developing. Lip-ties can prevent plaque removal from teeth, allowing for the development of cavities. Inadequate tongue pressure against the palate can lead to an underdeveloped jaw. This often results in orthodontic problems later on that require extensive correction. 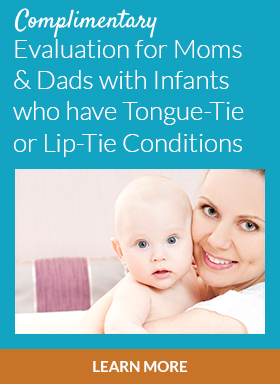 Releasing a tongue-tie while your child is a baby can prevent such difficulties from occurring. Your child will find it easier to properly maintain their dental health. “Dr. Levine and his staff were life savers for our three-month old. She was tongue- and lip-tied, taking over an hour to nurse and extremely fussy the rest of the time. After the laser procedure she turned into a whole new baby. Her temperament has made a complete 180, and she is happy and nursing efficiently. 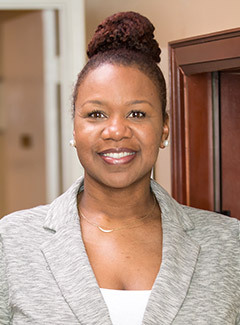 “The staff and doctor made my husband and I—first-time parents—completely comfortable, providing us with all the information needed, and they were very patient with all our questions and concerns. They made us feel at ease during our visit, and we felt assured knowing they were on call at all times. “My first impression was how incredibly professional the entire team was. I am a ‘people person,’ and I appreciate how every staff member takes the time to speak with the patients and gets to know them. They run a tight ship, they work really well together and they are at the top of their game.